Debbie W. Wilson is an ordinary woman who has experienced an extraordinary God. 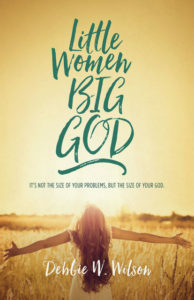 Drawing from her personal walk with Christ, twenty-four years as a Christian counselor, and decades as a Bible teacher, Debbie speaks and writes to help women discover relevant faith and enjoy God. She is the author of Little Women, Big God and Give Yourself a Break. She and her husband, Larry, founded Lighthouse Ministries in 1991. Her years with Cru (Campus Crusade for Christ) took her from Boston to Southern California with stops in Indiana and Oklahoma. They now live in North Carolina with their two standard poodles and two grown children. • Served on the staff of the high school ministry (Student Venture) of Campus Crusade for Christ (Cru) in Boston, Indianapolis, Oklahoma City, and Orange County, California. 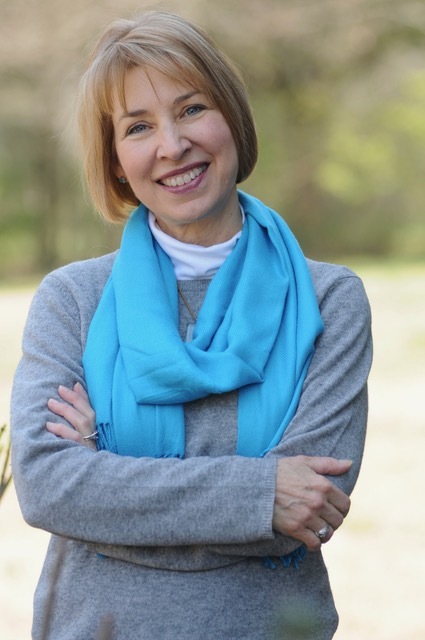 • Served six years on staff with Scope Ministries (from Oklahoma City, OK) as a biblical counselor before cofounding Lighthouse Ministries with her husband Larry Wilson. Debbie shares relevant content that significantly impacts a woman’s everyday life. I always learn so much from her. Whether small group or large, her message connects to the heart of a woman. Our ladies enjoyed the day so much and were so excited about having Debbie. We would love to have her back! I have received nothing but wonderful comments about the morning. Her message truly was the center of all that we had worked so hard to do. God was so faithful to have her meet the ladies right where they were. When Debbie spoke, our women listened—intently! She is passionate about her topic and connects with her audience emotionally. God’s word moves her! She is funny, relational, serious, compassionate, and dedicated. She has a deep working knowledge of the scriptures and an insightful perspective on applying God’s word to our daily lives, our circumstances, our relationships, our joys, our trials, our mistakes, and our pain. If you are looking for someone who will capture the attention and hearts of your women and speak Godly words of truth, wisdom, and encouragement, then Debbie Wilson is your girl! If you are planning a seminar or a women’s event, then Debbie Wilson is the right choice for you. Her messages are relevant, applicable, and I highly recommend her.